Clear-out unwanted waste in NW11 Golders Green and nearby surroundings with Easy-Go skip hire services at reasonable rates. At Easy-Go, we have an experienced and knowledgeable skip hire team who has an expertise in removing residential to commercial waste with a wink of an eye. We understand that environmental issues related to hazardous or non hazardous waste, so we try to remove waste in a eco-friendly manner. Unwanted junk collected by Easy-Go skips is recycled to the maximum possible levels at their fully insured sites. We make sure that collection of unwanted waste material is always accompanied with the thorough cleaning of the consumer's site. Skip hire services at Easy-Go are specially designed with a modern fleet of 4 yard to 40 yard skips to remove massive amount of unwanted waste even from complex locations. 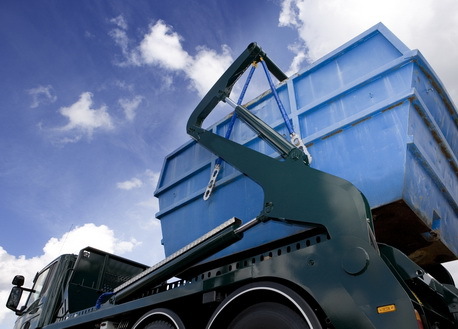 Our skip hire services can be availed same day or next day as per customer's ease. It is easy-to-book any of our services, you are just required to speak with our customer care executives and fix a date or time whenever you are free. We understand it is difficult for you to choose a skip which is suitable with the amount of waste and your location. Talk with our skip hire team without any hesitation and get best solutions for all your problems. Speak with us at 020 3598 2242 or contact us through email info@easygoskips.co.uk for more information.